Filmmaker Josh Fox’s Gasland is an eye-opening experience. Check out this interview with Josh Fox on PBS. In the wake of the oil spill in the Gulf of Mexico we must be aware of the the environmental consequences of fracture drilling in our own backyard. To name a few consequences, sick animals, sick people, and water that can be lit on fire! Plus all Texans should witness the impact of gas drilling on especially the small town of Dish, Texas, which is portrayed in the movie. The lasting impacts of the extensive drilling in the Barnett Shale are now starting to make their appearances. The gas makes money and jobs for many in the DFW metroplex, but it produces dire consequences for the health of the ecosystem, water supply, and human populations. Next Monday at 9 P.M. EDT, Gasland will be presented on HBO! In one week, America will tune in to HBO to see what happens when we allow gas drilling companies to run rampant in our towns. Gasland premires on HBO at 9:00 P.M. EDT on June 21st. See the trailer by clicking here. This month has offered a wide variety of musical formats. 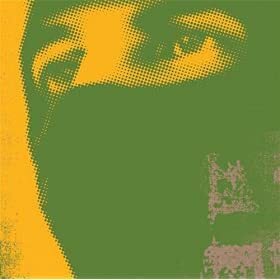 The selector dug into Navajo, Reggae, Rap, Rock, Roots, Electronica, Dancehall, and Jam Band music. June’s selection of reggae music includes the smooth dancehall vibes of Tippa Irie & The Far East Band , Jamaican sensation Rootz Underground , the positive message laden Mishka , the one drop oriented Romain Virgo , and the prolific singjay Capleton . 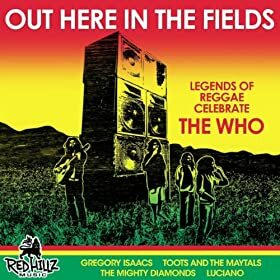 Plus there has been recently released a reggae celebration of The Who called Out Here in the Fields – Legends of Reggae Celebrate the Who featuring artists like Chalice , Toots & The Maytals , The Mighty Diamonds , Luciano , and Gregory Isaacs . 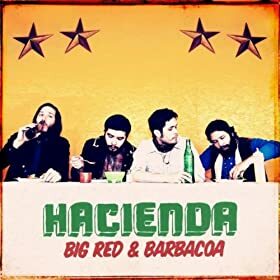 From San Antonio, Texas Hacienda makes original music on their summer friendly Big Red And Barbacoa . The Houston-based Geto Boys member Scarface dropped another hard hitting gangsta rap album. And the Texas country artists Jason Boland & The Stragglers released the full length LP High In The Rockies and Cory Morrow released an EP entitled Ramblin’ Man . The psychadelic country rock of Phosphorescent recalls the best of The Flying Burrito Brothers and The Byrds . 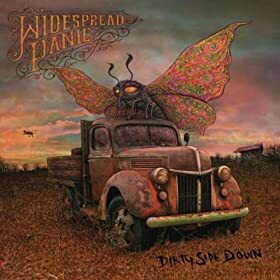 While jam-band staple Widespread Panic released another listener friendly studio album titled Dirty Side Down , which is a rare feet among jam bands. And on a side note this June the selector heard for the first time the amazing vocal stylings of Navajo musical artist Radmilla Cody . Cody should be an American legend! In this edition of the World of Reggae Music Collection the selector explores reggae versions of hippy songs. Jamaicans know good music when they hear it. Whether it is Cat Stevens, Bob Dylan, or Donovan, a good tune is a good tune! From the British hippy rock bands Led Zeppelin, The Kinks, the Beatles,The Rolling Stones, and The Who to the American hippy groups like The Hollies, Simon And Garfunkel, and Crosby, Stills, Nash & Young to the great American jam bands Phish and the Grateful Dead, many of the great reggae stars covered the tunes of the Hippy era. 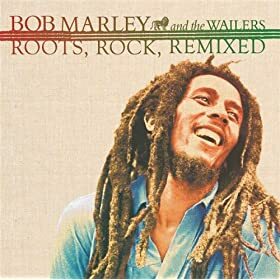 In this collection of songs, hippy music is played inna reggae version by the legendary Burning Spear, Jimmy Cliff, Gregory Isaacs, Black Uhuru, and many more. Ranking Roger & the Easy Star All Stars – Being For The Benefit Of Mr. Kite!